(UPDATED: 4/5 @ 12:00 PM) After rising steadily from Saturday afternoon through Tuesday night, prices for 2019 Final Four tickets have begun to drop on the secondary market. As of Wednesday night, the average price for the semifinal round has dropped from high of $1,167 on Tuesday down to $904, a drop of 18%. The get-in price has seen an even more drastic turn, dropping from $478 to $281, a 41% decline and by Friday morning prices tumbled even further. Currently the get-in price for Saturday is down to $279 (down 42% this week), while the average list price is sitting at $613 (down 47% this week). Like the semis, secondary market prices for the championship game are also also on the decline. The average list price has now gone from $498 for $417 (down 16% this week), while the get-in price fell from $122 to $109 (down 11% this week). With a somewhat unexpected Final Four set after a series of close games last weekend, NCAA basketball’s championship weekend is shaping up to be one of the priciest in history according to secondary ticket marketplace TicketIQ.com. The average asking price and get-in price for the national semifinals have been rising since Saturday’s Elite Eight, and the get-in price is the highest since TicketIQ.com began tracking data. 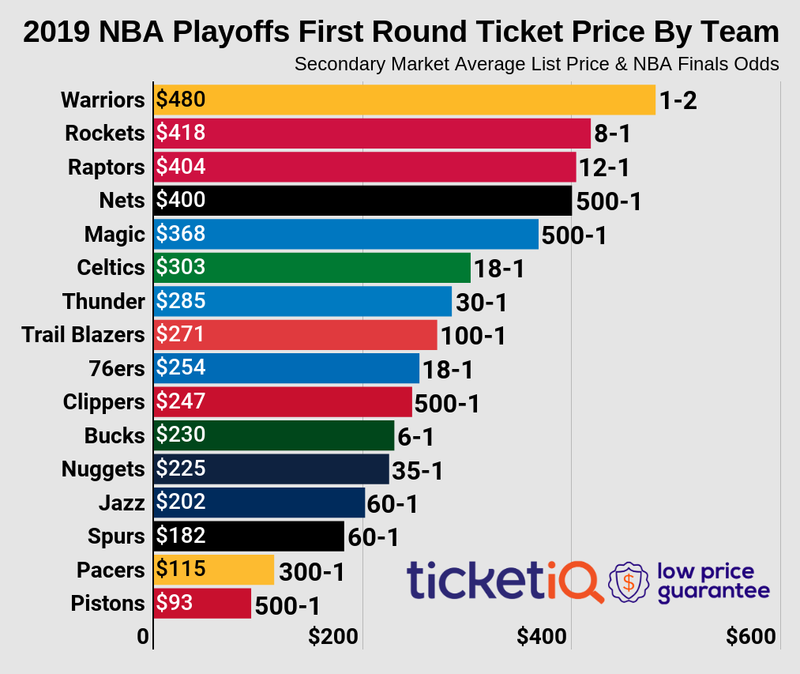 At the start of the tournament, according to TicketIQ.com, the get-in price for the semifinals was $221, and that shot up to $332 after last Saturday’s games, during which No. 3 Texas Tech upset No. 1-seeded Gonzaga, and No. 1 Virginia beat No. 3 Purdue. And after No. 2 Michigan State upset No. 1 Duke last Sunday, the get-in price jumped to $361. That price has continued to rise on Monday morning and is now $422. The average asking price followed the same pattern, opening at $698 at the start of the tournament, climbing to $894 after Saturday’s games, and then $1,123 after Duke was eliminated. The national semifinals are set for Saturday with No. 5 Auburn playing No. 1 Virginia at 6:09 p.m. and Texas Tech playing Michigan State at 8:49 p.m. The Final Four will be played in Minneapolis. For fans wanting to buy an all-session pass to the national semifinals and finals, the get-in price is currently $515, and the average asking price is $1,417. The average asking price for the national championship, which is set for Monday, April 8, is currently $494 with a get-in price of $136.